Two Policemen is an historical movie coming soon. The story set during the Joseon Dynasty Period, a veteran police officer (Sol Kyung-Gu), known for being complacent, and a rookie police officer, known for his enthusiasm, work together in the name of justice. It will surely be an interesting plot as we both sisters are too into watch historical movies and dramas specially realted to Joseon Dynasty. The lead cast Ji Chang Wook is one of the hardworking flower boy remind us of a drama "The bechlour Vegetable Store" an impressive life story. Also we recently finish watching him as Healer the night courier. At first we didn't recognize healer as Ji Chang-Wook but there was something pinching my sisters curiosity she points we had watched him but where? any similar actor but who? It reveals in the episode when on the rooftop tent he was with the female lead and smiled brightly my sister shouted oh its Ji Chang of Vegetable store. 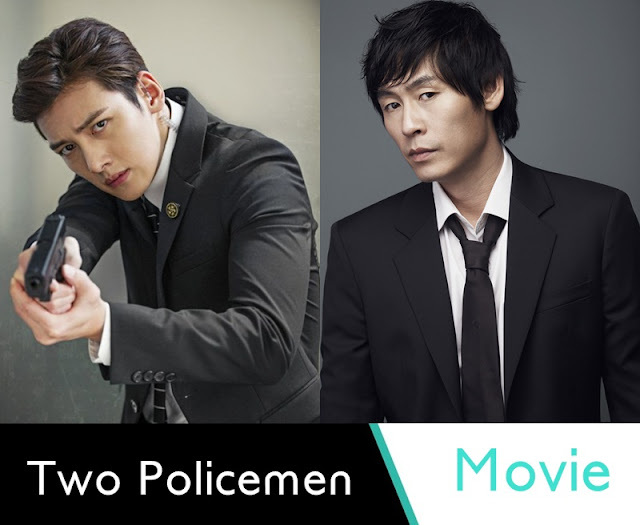 So the story of two policeman will surely be interesting As the lead Ji Chang-Wook a rookie police officer and Sol Kyung Gu a Veteran Policeman. An Action packed fight suspense, thrill movie Two policeman looking forward. Hope it will release in 2016. Does anyone know when the movie will come out?